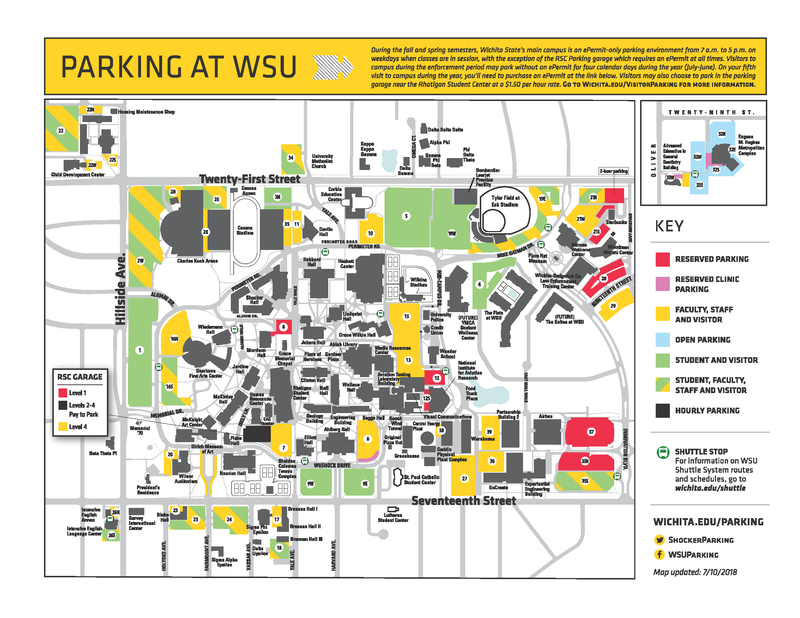 Find printable campus maps on the WSU Parking home page. 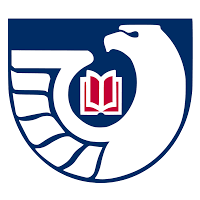 Visitors to the Wichita State Campus may park without an ePermit for four calendar days during the year (July through June). On your fifth visit to campus you will need to purchase an ePermit. Visitors must park in lots with green, yellow, or yellow-and-green-striped signage. Do not park in red or teal lots. Your license plate must be visible. Do not back into or pull through parking stalls as this may result in a parking citation. During the spring and fall semesters, visitors can park in the Hughes Metropolitan Complex lot and ride the WSU Shuttle. Find more information including route maps and stop locations on the WSU Shuttle home page. During baseball, volleyball and basketball seasons some lots on campus may be reserved for game day parking. Find more information, game dates and maps on the Athletic Parking home page. Parking garage located south of the Rhatigan Student Center. Levels 2, 3, 4 and all ramps are hourly parking at a rate of $1.50/hour, debit/credit card only. Ground level is reserved parking only. Note: The parking garage is enforced 24 hours a day, seven days a week.